Chapter 7 will be out within hours, so we decided to introduce you to the sets improvement it brings. Let&apos;s take a closer look at them. Set includes certain equipment items: a helmet, an armor, a melee weapon and a ranged weapon. When you collect a certain set for the first time, you can get a reward. Why the titled sets are special? A titled set gives a fight bonus when equipped on your character. A titled set always has a title, an icon and a game mechanic of its own. How do I collect a set? Set is considered to be collected if you possess all four equipment items it consist of. You can get these items as a fight reward, also by opening booster packs and reward chests. How many times can I collect a reward for a single complete set? You can get your reward for every set only once. How do I activate the set bonus? A titled set bonus is activated automatically every time you equip this titled set. Check if your character is equipped in all four set items. Maybe its helmet or ranged weapon are missing. How many titled sets can I find in the game? There are three titled sets in the game at the moment. Many more sets are going to be implemented. How does Dragon Prime Set work? Every successful guandao hit on your enemy gives a fixed amount of shadow energy. How does Autocrat&apos;s Will Set work? Every successful hit you make with set swords or arbalest will drain a fixed amount of enemy&apos;s shadow energy. If your enemy is out of his shadow energy, your hit damage is increased. How does Sterile Gloom Set work? Every successful hit of any type will charge your claws damage bonus. Bonus is activated when it&apos;s triple charged (maximum). Bonus charges fade over time. I haven&apos;t found any answer to my question here. Please send note to our support team and we&apos;ll gladly answer to your question. Chapter 7.1: what game's hiding? what to expect? If you collect all 4 items of the same set (helm, armor, weapon and throwing weapon), this set will receive a special ability which you will not be able to get anywhere else. In the upcoming update only 3 sets will be available. Next we will add more sets to the game for various equipment in the future updates. Our game is full of various cards like weapons and armor. We made a new interface section where you can find all the collected items and also those which are still left to be found. The long-awaited continuation of the story. Where will the destiny lead the main protagonist and what difficulties will he face in the near future? Get all the answers in the coming update! An important technical update announcement. 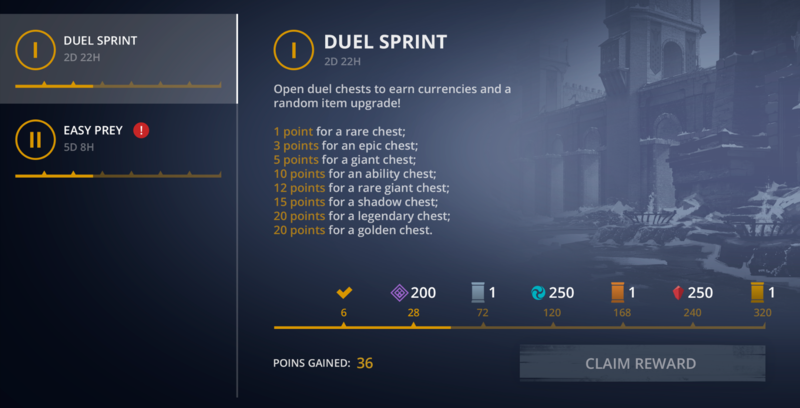 We added new duel chests types. We returned, among other things, the epic and legendary chests and added a few which have not yet been submitted to the players. A few UI-windows were redesigned including the store. Also, marathons were moved to a separate menu for the sake of convenience (marathons will be held more often). The notification system was also fixed. The award balance was partially rebuilt. We also increased the daily login reward. Some weapon styles moves were fixed. The music on some locations continues playing, even though you turned it off. FAQ: Sets for tokens, achievements, legendary items and more! Q: Will you change the duel matchmaking balance somehow when the PvP-mode will kick in? The duel balance is undoubtedly the most problematic part of the game at the moment. So another update fixing big rating differences in matchmaking came out this january. We’d like to ask you to write us if anything still goes wrong or the matchmaking power difference is still greater than 200 for you. This info will help us to address the issues once again. Regarding the actual question we want to point out that in the PvP mode we plan to use a totally different matchmaking system, based mostly on your skill. Q: Is there a chance that the PvP mode release will be cancelled due to players bad internet connection? Unfortunately, there’s always a chance. Our game is quite susceptible to all forms of net issues such as high latency. But we stay positive on the matter at the moment. Q: Is it just me, or you really reduced the chance of dropping the legendary items from the previous chapters at the store? Am I right? No. The items generation depends on their price only. And It has not changed over the past few months. We’re trying not to offer our players the items they can’t save up resources for. We assume your observation has something to do with the fact you leveled up a lot, and the store couldn’t actually offer you a decent amount of reasonably-priced items from the previous chapters. Q: Would you please reduce the rating decrease rate at the very end of the season! Should we wait for it to happen? In the short term that change is not likely to happen. Rating drop is an important part of the design of the seasons feature for us. Q: How about to turn off the Survival mode timer? Where I suppose to save up the in-game currency? In duels? Not gonna work! Maybe in Survival mode? But it’s limited to 2 days! What should I do in that case? We have no plans of turning it off by now. But we plan to add a few alternative ways of gathering the coins and also tune the duels coin drop. 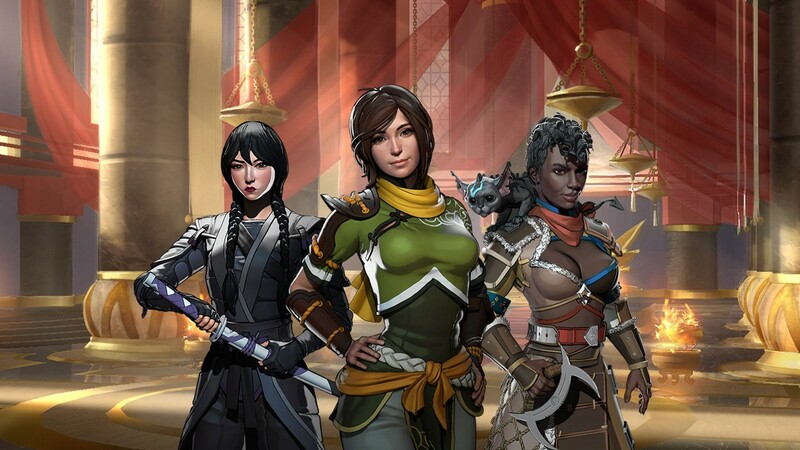 Q: Is there a chance we will find out something new about the world of Shadow Fight 3 after the main story campaign will come to an end? For example, what will happen to the main heroes? There’s no way we’ll be stuck in the side activities only (such as PvP, Survival, Clans)! I don’t include the New Game + to the list though. The story will be expanded through different new Events and gameplay modes. We will talk about it more in the next few months. 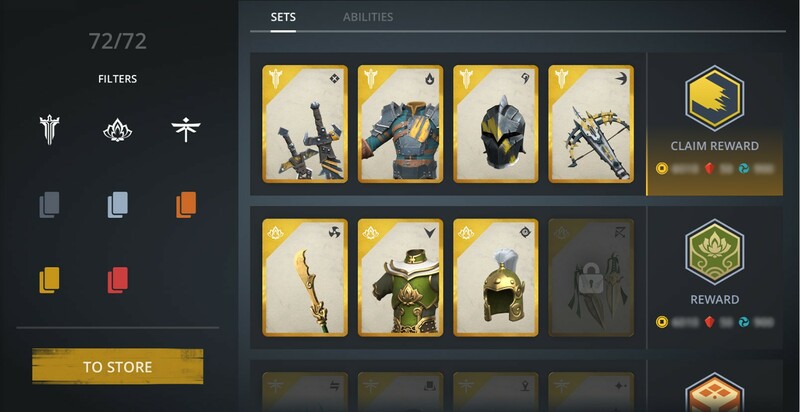 Q: Would you please bring back the opportunity to buy the armor sets with tokens rather than by participating in the marathon? In Events we’re experimenting with various forms of in-game rules. There’s a chance that the option of purchasing the sets with tokens will come back one day. Q: Why there aren’t any achievements in the game like the ones that were in Shadow Fight 2. We were busy implementing another features so far. Q: Will we see new mace abilities? Our animators are polishing the seventh chapter at the moment. Next we plan to polish other weapon styles and maybe add a few new ones. Q: What does the special move power increase? It affects its actual damage. We have to admit it’s not visible in the game interface at the moment, and that’s a real shame. In fact the more levels you gain, the bigger the damage multiplier during your special hits gets. FAQ: PvP beta-test, clans, blood and gore in Shadow Fight 3 and more! Q: Will there be a chance to play the PvP mode with my friends WITHOUT being connected to the Internet? For example, using an access point? Yeah, for sure! Playing with friends is an important part of the SF3 PvP experience. We’d say it’s a real tradition in the fighting genre. That is why there will be an opportunity to play with your friends using a common access point. There will be no need to connect to the Internet. Q: There’s a thing about clans that bothers me. Will there be an opportunity to create my OWN clan rather than choose one of the three in-game factions? Q: The sabers from the “Dragon lesson” event had a shadow ability which I couldn’t find in the game yet. Does it mean that in chapter 7 we will be able to get epic or legendary sabers? 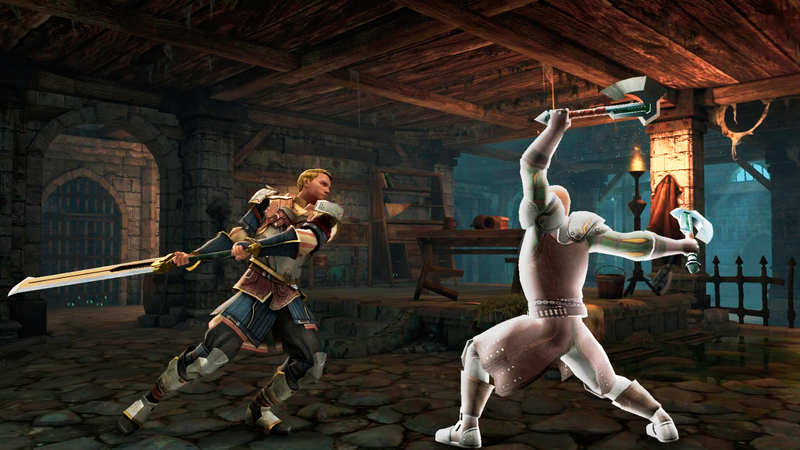 We’re gradually adding some new shadow abilities into Shadow Fight 3. BUT it does NOT necessary mean that they are from the upcoming chapter. Q: Will you add an uninterruption interval to a bare-knuckle fight? We discussed it lately and decided to keep it a “weapon” feature only. Q: Will you please reduce the Heralds critical hit chance! There’s a real balance issue that involves Heralds and Legion, don’t you think? Or your goal is to force us to play for Heralds only? Q: Hey there! Tell me please why there isn’t a single drop of blood in Shadow Fight 3? The game should be realistic! A lack of pronounced violence is an important part of the series image. Q: All studio’s resources are directed towards Shadow Fight 3 development, from what I understand. Are you going to refine the other projects of yours which are incomplete by far? Shadow Fight 3 is currently our flagship. That is why the vast majority of our resources is directed towards its polishing. But it does not interfere with our plans on the other projects. Furthermore, we are happy to announce that there are 2 entirely new games which are being developed by our studio right now! Q: Could you please tell us a bit about the SF3 PvP beta selecting process? The first wave of beta testing will be available for the players from Russia only (it’s more convenient for us to gather the feedback there) with a good internet connection and high-performance devices. Next waves will include other countries as well, so stay tuned for the updates! Q: What are “set bonuses”? 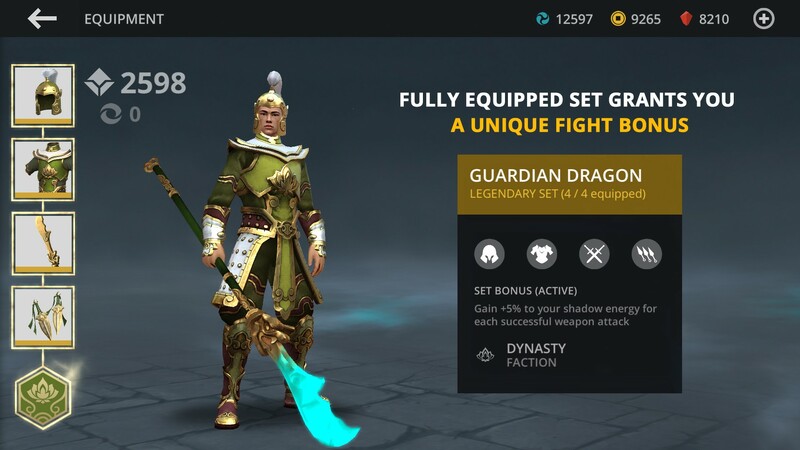 They are some unique abilities which will significantly change the course of the fight for those who’s wearing this armor set. This feature is planned to be released gradually over the next few months. Q: Could you please add the account switching functionality? Your game account is being kept on our server and is linked to Game Center/ Google Play Games. To switch it just log out of it in the device settings, erase game data or reinstall the game. This way you’ll have an opportunity to log in to another account. This functionality is needed very rarely, so that is why we don’t plan to add it to the game.